Minister Willie Jackson formally opens the Tū Māia Rangatahi Hub. 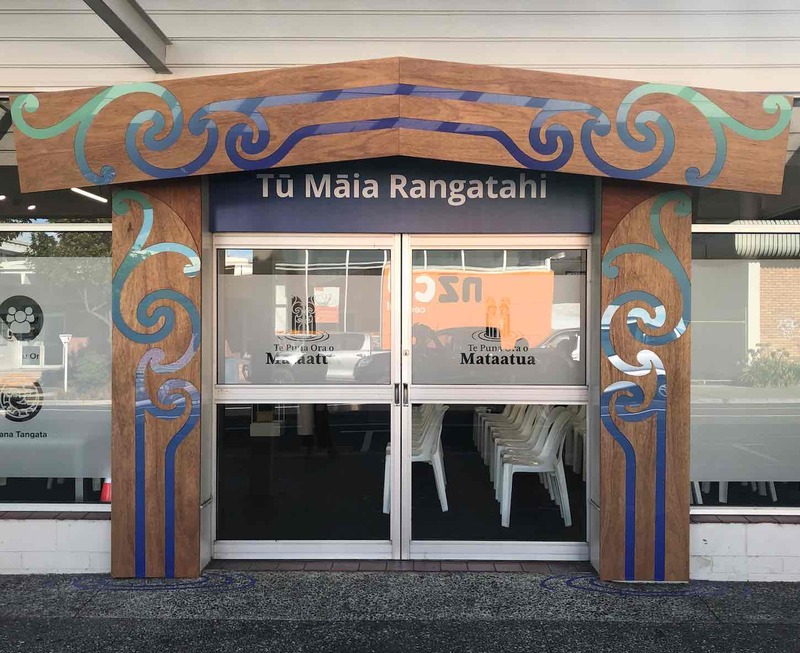 On Friday 15 March 2019 the Minister of Employment, Hon Willie Jackson, formally opened the Tū Māia Rangatahi Hub in Kopeopeo. The Rangatahi Hub delivers the He Poutama Rangatahi programme (a part of the Provincial Growth Fund) and brings together services provided by TPOOM for rangatahi in one integrated space that focuses on at-risk youth or rangatahi not engaged in education, employment or training (NEETs). Our new Waharoa was in place for the formal opening and we launched the new Rangatahi Hub promotional video (below). A feature of the formal opening was the Rangatahi Hub Staff Role Play with Minister Jackson—providing a gentle ribbing at the same time. Speeches from Fiona Wiremu (Chairperson), Dr Chris Tooley (CEO), Mia Elder (Team Leader). Arapeta Taitoko (Manager) warming up the crowd for staff role play.